General app improvements and some bug fixes. 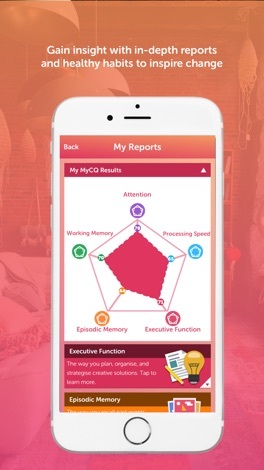 MyCognition HOME is a cognitive fitness app that accurately assesses your brain in less than 15-minutes. Do you ever find it difficult to focus? Do you struggle with simple calculations? Do you want to understand and remember more? Or do you want to make better decisions, quicker? Try MyCognition HOME and learn about your brain. Our assessment paints a picture of your cognition and gives you a better understanding of your behaviour. 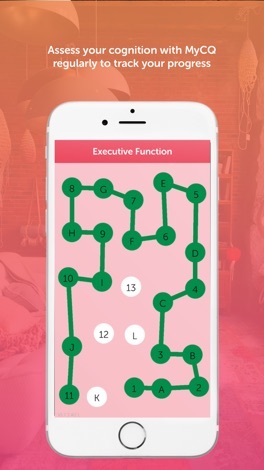 Learn about how your cognition affects you in everyday life, in school, or in work. 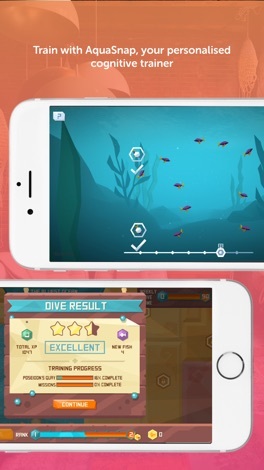 Once you've assessed your cognition, experience a new way of personalised and adapted training through our training game AquaSnap. MyCognition HOME also let's you create accounts for your friends or family. Understanding your cognition should be for everyone so we're giving you 6 extra accounts to share! Enjoy MyCognition HOME today with a 7 day free trial! MyCognition HOME features auto renewing subscriptions. These subscriptions allow you access to our assessment and our training game AquaSnap. The subscriptions will auto renew unless auto-renew is turned off at least 24-hours before the end of the current period. Payment is charged to the iTunes Account at confirmation of purchase. Accounts are charged for renewal within 24-hours prior to the end of the current period, and identify the cost of the renewal. You can manage your subscriptions through your iTunes account and auto-renewal can be turned off by going to your account settings after purchase. Any unused portion of the 7 day free trial will be forfeited when you purchase a subscription. Your subscription will give you access to our cognitive assessments, training games, and cognitive reports. In addition to this you will also have 6 additional user accounts for members of your family. MyCognition is a science-based company dedicated to understanding and improving cognitive health. We research, develop and create products that measure and enhance cognitive function for use in personal wellbeing, education, business and healthcare sectors. With ChkBox you can easily check in and out of your construction sites without ID06 or HMS card readers. ChkBox meets legal requirements on electronic staff registers on construction sites, and provides information on subcontractors and staff presence. Kind op Zondag is een app die gebruikt wordt voor het werken met kinderen in de kerk en de zondagsschool. Voor elke zondag zijn er navertellingen van bijbelverhalen, liedjes, knutseltips, spelvormen en nog veel meer.